We are Officially Open for Business! Contact us to reserve a court or join a clinic! We are a state-of-the-art bubble offering tennis clinics, private lessons, open court time and contract time at the most affordable prices! As we begin this journey, our mission is to make sure when you come to play at Crestmont Indoor Tennis, you are leaving beyond satisfied and stress free. Whether you are doing a clinic, or coming to play with some friends, we strive to make sure you have a great experience. 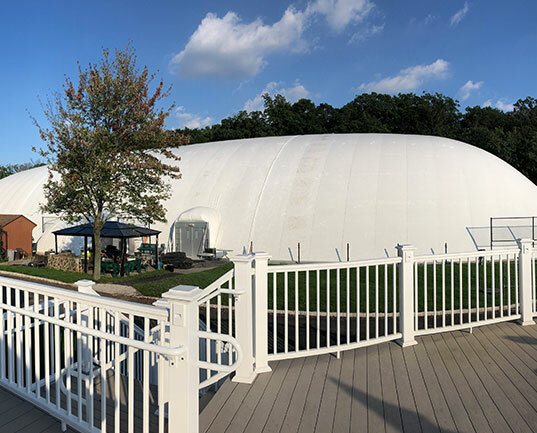 Between our experienced staff, low rates and certified teaching professionals, our goal is to make Crestmont Indoor Tennis Club one of the premiere indoor facilities in New Jersey. Grab a contract with us and get a guaranteed slot for your weekly games. We offer open court rates whenever court time is available. We offer a variety of private tennis lessons, clinics, and programs, for all ages.